Early organisms called cyanobacteria produced oxygen through oxygenic photosynthesis, resulting in the oxygenation of Earth's atmosphere. But cyanobacteria needed protection from the sun's UV radiation in order to evolve. That's where iron and silica particles in ancient seawater come in, according to Aleksandra Mloszewska, a former Ph.D. student who conducted the research under the supervision of professors Kurt Konhauser and George Owttrim. The research team characterized the effect of UV stress on cyanobacteria and the degree of radiation through the seawater medium through a combination of microbiological, spectroscopic, geochemical and modelling techniques. They found the presence of high silica and iron concentrations in early sea water allowed for the formation of iron-silica particles that remained suspended in the ocean for extended periods of time. "In effect, the iron-silica particles acted as an ancient sunscreen for the cyanobacteria, protecting them from the lethal effects of direct UV exposure," explained Konhauser. 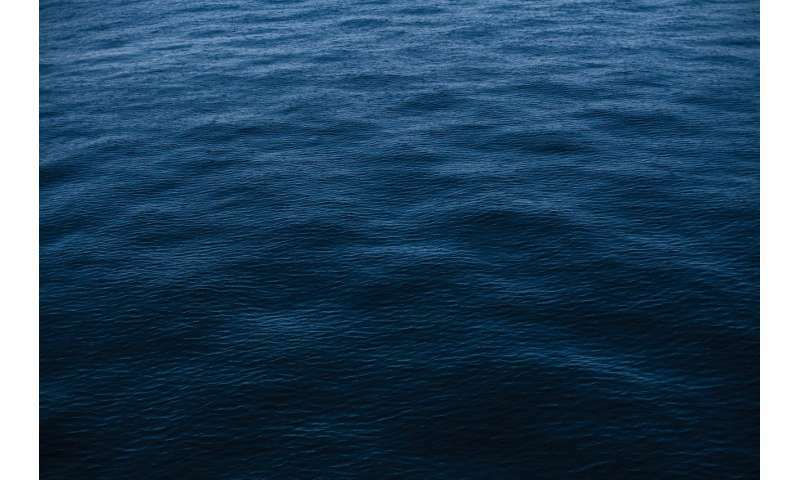 "This was critical on the early Earth before a sufficiently thick ozone layer was established that could enable marine plankton to spread across the globe, as is the case today." Owttrim said the accumulation of atmospheric oxygen from cyanobacterial facilitated the evolution of oxygen-based respiration and multicellular organisms, what remains a mystery is why it took so long for free oxygen to accumulate permanently in the atmosphere after the initial evolution of cyanobacteria. While iron-silica particles would have allowed early cyanobacteria to survive, UV radiation would still have prevented their widespread growth. "It's likely that early cyanobacteria would not have been as productive as they are today because of the effects of UV stress. Until the accumulation of sufficient cyanobacteria-derived oxygen allowed a more permanent means of protection to develop, such as an ozone layer, UV stress may have played an even more important role in shaping the structure of the earliest ecosystems," explained Mloszewska. The new findings are helping researchers understand how early cyanobacteria were affected by the high level of radiation on the early Earth as well as the environmental dynamics that affected the oxygenation history of our atmosphere. The research was conducted in collaboration with colleagues at the University of Tuebingen and Yale University and was supported by the National Science and Research Council of Canada, and by the NASA Alternative Earths Astrobiology Institute. The paper, "UV radiation limited the expansion of cyanobacteria in early marine photic environments" is published in Nature Communications.